By Dr. Aaron R. Stewart, Ph.D.
Brooke Henderson Swing Analysis - Amazing! On this "Whatever Wednesday" episode, we discuss how Justin Thomas has been expressing his opinion and doing it in a way that demands attention. Even at only 25 Justin seems to understand his role and the ability he has to use his platform to encourage positive change to the game. We also discuss the true meaning of a Fred Shoemaker saying we shared early, namely: "Only when you have felt it, can you fix it." The definition of "feel" in this statement goes much deeper than what many assumed. 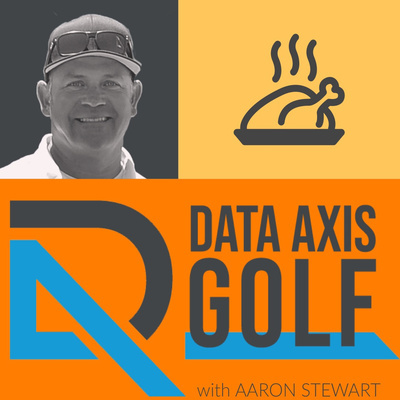 Finally, we discuss how to use Tour Averages to keep our expectations for our golf game where they should be so that we can get maximum enjoyment out of the game. Let's tee it up! #golf #pgatour #golfers #lovegolf #golfday #whyilovethisgame #golflessons #golflife #anythinggolf #beautifulgolfcourses #lovegolf #betterdatabettergolf #dataaxisgolf #golfislife #golfball #golftournament #golfcourse #golfrange #golfnews #instagolf #golfswing #golfing #golfaddict #nowhitebelts #talkbirdietome Follow us on Instagram, Facebook and YouTube. Wednesdays are now "Whatever Wednesdays." Giving us a chance to review all things golf for the week, the news, the feel good, and maybe feel bad stories, essentially... whatever. In today's show, we discuss how the schedule change has hurt the Honda Classic, how our perception of Rory McIlroy here in the US probably more positive, where Rory's decision to skip the Irish Open has raised some ire from his hometown paper. We discuss the difficult and near disaster at the Monday qualifier for the Honda Open, and even a little bit on the ridiculous outcry on backstopping. Give me a freaking break; let it die already. And finally, my favorite, the very first installment of "Fred Says," which will be a segment where I share a quote or teaching of Fred Shoemaker of Extraordinary Golf, and then discuss the how it can help us in golf and sometimes even in life. It is what a mentee should always do for a mentor, so here we go. Let's tee it up! Wow, that was a weird one at the Genesis Open this year. Much to cheer about with the improvement to the tournament going forward joining with Tiger Wood's charities and becoming an Invitational, more money, more extended exemption. Very cool. JB Holmes and Justin Thomas have history, which we didn't learn about until after the tournament, but did that mentor/mentee relationship play a role in the outcome. We look at the number that matter in both $$, but also in performance up against the performance benchmarks we use to manage and monitor our games. Let's tee it up!! On Golf.com there was an interesting article entitled "Meet the biomechanist who's changing golf - and can help you gain distance." The article is about Dr. Sasho MacKenzie, who is a researcher of Human Kinetics at St. Francis Xavier University in Nova Scotia. You may know him from the work he has done with the BodiTrak. In this article, it tells us of the easiest way to get more speed in our swing. Additionally, we look at some consistency numbers of top tour pros and see how their career average stacks up with their 2018 and 2019 numbers to see how they are trending. It's for fun. Let's tee it up! Phil's wins for his 5th time on the hallowed grounds of Pebble Beach Golf Links. He started his round 3 strokes back and ended up winning by three after posting a seven-under 65 to lap the field. Phil also lets us in on why Pebble Beach is such a special place for him and his family. We take a look at Phil's stats and see where his performance was above his 2018 averages and carried him on to the win. We also compare Phil's statistics to our established benchmarks, to continue refining how we are going to track our games and make sure we get better this summer. Let's tee it up! 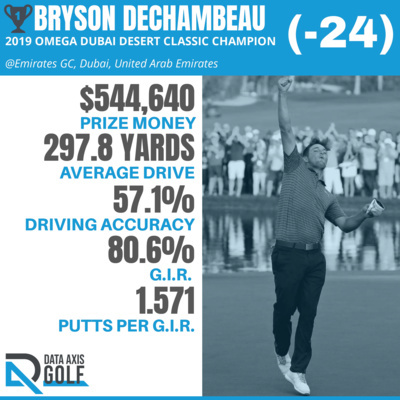 Another impressive win for Bryson DeChambeau, who continues to prove to the world that using training aides that provide instant and correct data can transform you game. Not only your swing, but also you mental toughness, as you can prove to yourself that you golf swing is solid. You can know you golf swing, it won't be mystery to you any longer. And with that, your performance will go up, just ask Bryson. We also get into the one-length iron discussion, with some insight I learned personally after being fitted and playing with one-length clubs for a few months. Let's tee it up! An amazing display of golf this week from Justin Rose, using new equipment for only the 2nd time in competition. 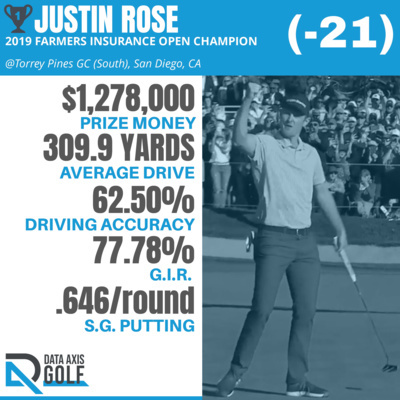 What can we learn from Justin Rose? Let's get into the data and see how Justin's performance holds up compared to his averages and our performance bench marks. Let's tee it up! On today's show we play two soundbites from Lee Westwood and Bryson DeChambeau, as they play in the Dubai Desert Classic. Lee provides us with great pearls of wisdom into how we need to carry ourselves mentally on the course to achieve our best golf. Bryson provides some brilliant insight into how we can prepare ourselves to be prepared and consistent on the golf course. Both pieces of advice are wonderfully helpful in assisting us get better at this great game. Let's tee it up! Equipment manufacturers are producing better putters, grasses on modern greens are quicker due to better agronomy and watering strategies. It all means that we have better surfaces, better technology, but we aren't making statistically more putts. So what it the problem? In a nutshell we can't read greens well enough to adjust to these conditions. What can we do about it? Let's tee it up! This time of year, with the PGA Show going on, we will hear about all kinds of new technology and products that are supposed to help us play better golf. There is also many coaches getting together to share notes, which always brings up the question of do we learn by feel or by technology. The answer? Let's tee it up! Rickie Fowler is not playing Titleist Pro Vs anymore? My world just came crashing in around me? What in the world is going on around here?!? Rickie claims he has found the Taylormade TP5x golf ball to be better in the wind and he has picked up some distance with his irons. So how to you choose a golf ball? Does it really matter that much to us amateurs? Let's tee it up! It may appear Adam Long was an overnight success, but not so fast my friends!! Adam has been earning this win for a very long time. 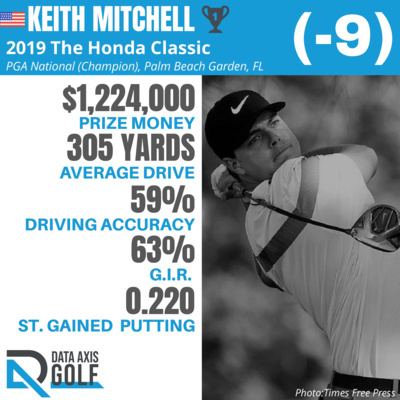 On this Data Monday, we will go over some cool stats of Adam's from his PGA career, and we will even look at some from Phil Mickelson for comparison. We will also take a quick look at how Adam performed up against our amateur game improvement benchmarks. Let's tee it up! 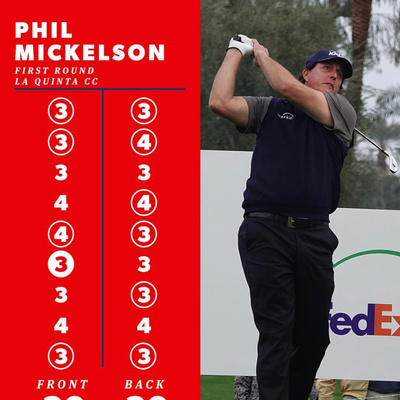 Phil tweeted out he was a "little rusty" before his start at the Desert Classic, then he went out and shot a 60. It was the 3rd 60 of his playing career, which no one else has done on the PGA Tour. But this 60 was his lowest score to par in his career. So what was rusty? Let's tee it up! Winter is a perfect time to work on our putting strokes. 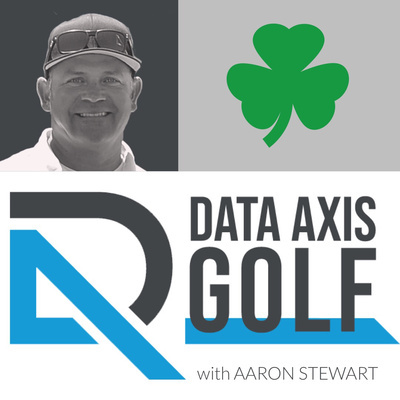 In this podcast we will go over 3 drills that won't cost you anything, are easy to set up and do, and will transform your putting game into a strength. These drills focus on making a precise stroke, making sure the putter face is dead square at impact, and insuring you are not moving during the stroke. Use these three drills until Spring and get ready to take money from your buddies pockets. Let's tee it up! Do You Expect To Get Better When You Play? Do you expect to get better while playing golf? Why? What do you do to make sure you are working on the weaknesses of your game? Are there strategies that make getting better possible while playing? Or is there a time to perform and a time to practice? Should our mindset be different for each? Let's tee it up! Kuch Again! What Can We Learn on This Data Monday? Jordan Spieth - Push the Panic Button? After his first round of the Sony Open many "experts" were discussing their worries for Jordan Spieth and his game. Robert Damron (who is one of the most entertaining guys on Golf Channel) claimed it was DEFCON 7 for Speith (whatever that means). But Jordan has a plan and he is going to be just fine. Let's tee it up! What can we expect from Jordan Spieth this year? Are you optimistic he will play better than last year? Why or why not? Based on some of his comments this might be a very, very important year in his long-term success. Let's tee it up! Maybe one of the most under discussed topics in golf. How should we choose targets to better improve our performance and clearly communicate our intentions? There are some common mistakes to avoid, but better target strategies can drastically improve your scoring, and in some cases, instantly. Let's tee it up! How Are You Swinging It? If someone asked you how do you swing the golf club, how would you answer that? Could you answer? Can you describe your golf swing? Do you know if well enough to classify it? Explain it? Critique it? And if you can, will it make you a better player? Let's tee it up! The Flagstick... In Or Out? Better Goals for 2019 - Putting & G.I.R. How do you plan to improve your golf game in 2019? 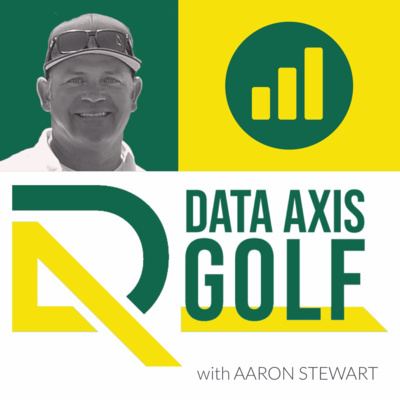 In the last show of our Data Driven series we will review some 2018 PGA Tour statistics to calculate some reasonable benchmarks to measure our own games, and use those to set proper expectations for maximum enjoyment and maximum game improvement in 2019. On today's show, we examine proper expectations for putting and Greens-in-Regulation statistics. Let's tee it up! How do you plan to improve your golf game in 2019? In our year-end Data Driven series we will review some PGA Tour statistics to calculate some reasonable benchmarks to measure our game against, and to then help us set up proper expectations for maximum enjoyment and game improvement in 2019. On today's show, we examine proper expectations for scrambling and sand saves. Let's tee it up! How do you plan to improve your golf game in 2019? 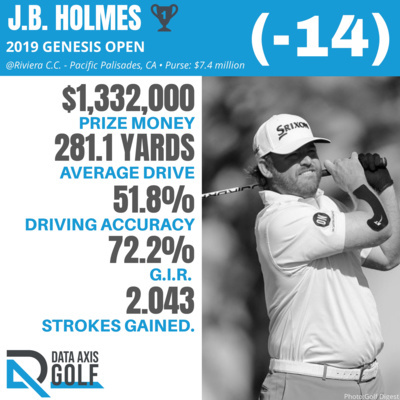 In our year-end Data Driven series we will review some PGA Tour statistics to calculate some reasonable benchmarks to measure our game against, and to help us set up proper expectations for maximum enjoyment and game improvement in 2019. On today's show, we examine approach shots. Let's tee it up! How do you plan to improve your golf game in 2019? 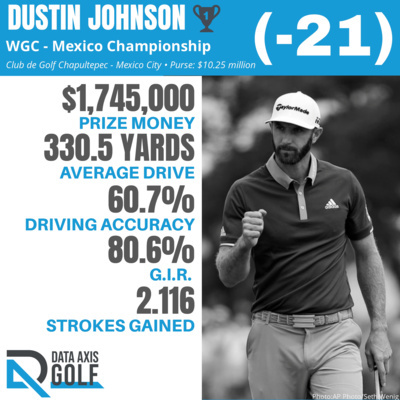 In our year-end Data Driven series we will review some PGA Tour statistics to calculate some reasonable benchmarks to measure our game against, and to help us set up proper expectations for maximum enjoyment and game improvement in 2019. On today's show we examine driving accuracy. Let's tee it up! Practice doesn't make perfect unless we practice the right way... And even then, it's golf, so perfect is a stretch. Practicing the wrong way can seriously hamper your chances or ever playing the right way. Let's tee it up! Data Monday - Davis and Dru Lovely! Davis and Dru Love do it again! Jack Nicklaus quips he hopes Dru gets his card and can't defend next year. :) And we get into some cool data on how much the top 20 players in the world make per tournament and per day on average. Let's tee it up! Think of your best rounds. Do you remember who your playing partners were? Was it the way you played, your final score, or who you were with that made the round memorable? Let's tee it up! Can you increase your swing speed by just trying to swing "faster?" Hank Haney seems to think so! Let's tee it up! Many are shouting that we need to get fit, for our ball, for our shafts, for our clubs, but do we? Do fittings really benefit the high-handicapper? The low handicapper? Or is it a ploy to get us to spend more? Let's tee it up! No one can explain what causes them, no one knows how to fix them, no one really wants to talk about them, so we are going to anyway. 😂 Let's tee it up! Data Monday - Tricky Blick! What would you do if your clubs were stolen the night before the biggest round of your life? How about shoot 63 with borrowed clubs?!? Let's tee it up! Some folks are sadly asking the question "what's wrong with Tiger Woods?" It is a bad question, the answer is... Tiger Woods isn't the old Tiger Woods anymore, and that is a great thing. Let's tee it up! From his knees, Tiger Woods took an abbreviated swing and knocked his ball out of a bush, back toward the fairway. Upon further review, using HD video, it could be clearly seen that he had carried the ball on the face of his club or essentially perform a double hit, which is against the rules of golf. After some discussion by the officials, Tiger did not receive a penalty stroke, even with video proof of the infraction. Did Tiger Woods cheat? Let's tee it up! You know who you are, and you know what you have done, and we are tired of it. How can you easily identify a sandbagger? Let's tee it up! Jon Rahm has his own way about him. A fellow Sun Devil and a unique approach to the game. Let's tee it up! A Tim Herron Sighting: The Return of Lumpy! He has to be one of the most beloved golfers of our generation. 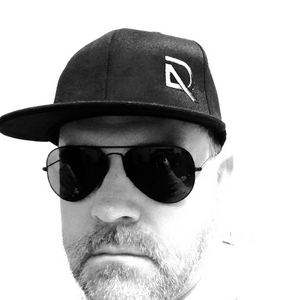 Tim "Lumpy" Herron, the Minnesotan, the comedian, the entrepreneur, the husband, the dad, the legend! Let's tee it up! Patrick Reed - Setting Off Fires and Playing On Fire! Love him or hate him Patrick Reed has the game and the mentality to be around a very long time. Let's tee it up! Can you remember back to when you played a great round of golf? Do you remember what you were focused on? Were you "outside" yourself? Let's tee it up! Technology in golf is here to stay,​ despite the lamenting of some. Let's tee it up! Cuts Made Data, plus we chat about Hosung Choi's unique swing and win on the Asian Tour, and Monday would not be complete without a recap on "The Match" of Tiger and Phil. Let's tee it up! We go against conventional wisdom here, but after looking at a few positions in your swing, you too can more easily find your best grip. Be aware, as we work together your swing plane will simplify and improve, as it does, you may need to adjust your grip to take advantage of your new simplified action. Let's tee it up! Can being thankful on the golf course improve your play? Let's tee it up! Does a pre-shot routine really help your golf game? The answer is... maybe. It only helps if you use it the right way if not, it could actually be hurting your game. Let's tee it up! Data Monday: Howell Cool Was That?!? A quick recap of the RSM, and some data on Charles Howell III. Whatever happened to "Chuckie 3 Sticks?" Let's tee it up! Is competition good for our golf game? It is good for us? Golf can be frustrating and with frustration can come anger. We typically don't play our best while angry, so what should we do about it? Rules are to created to make golf "fair" for all of us, but sometimes the rules, as written, are just plain cruel. Our spouses are a huge part of our lives, and thus our golf life. How we interact with them concerning golf is vitally important. Especially if you want to keep playing golf. Should you take the plunge and be fit for custom clubs? The quick answer is... Maybe. Let's discuss! Yes, I did almost die, and yes Bubba Watson did, in fact, save my life... But I have never met the man. Let's get to it. Why do really well hit golf shots feel so good? What is behind that? Maybe, just maybe, it has something to do with this. Do you need a golf coach? Do you want a golf coach? What should we look for in a golf coach? Let's get into it! In Malcolm Gladwell's book "Outliers" he puts forth the concept that we can achieve mastery in something at around 10,000 hours. My opinion inside this episode. They have been six​ years in the making, but the USGA has finally released new golf rules for the 2019 season. 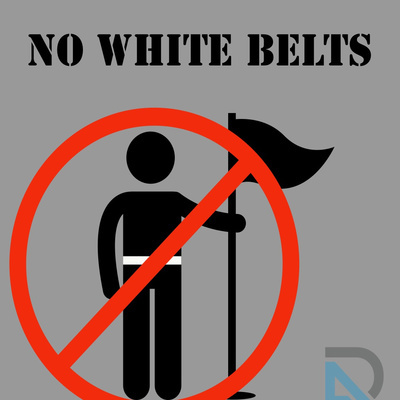 We review the top 10 rule changes that we will deal with the most. The game of golf just got more straightforward​, and hopefully, the pace of play will pick up too! Most people are shocked when they actually take time to analyze the performance data of PGA touring pros. The data should help us develop more reasonable performance expectations. He is known as a mad scientist, which is great. 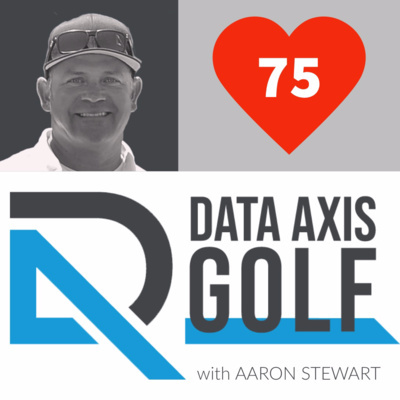 Bryson uses data to rapidly improve his golf swing, we can too. How choosing the "right" targets can improve your play. We all love golf magazines, but are they good for your golf swing? Some rely on feel. Tiger talks that the “feels” are coming back. What?!? My first experience at an Extraordinary Golf School, and my rampant stupidity on full display! Through a series of really unfortunate and fortunate events, we now know how to help you rapidly improve your golf swing. To get better at anything we need accurate, instant and usable feedback. The more accurate, the more instant and the more usable the better! Yep, that's us.